Coconut oil is good for so many things and one of those things are as a hair treatment. 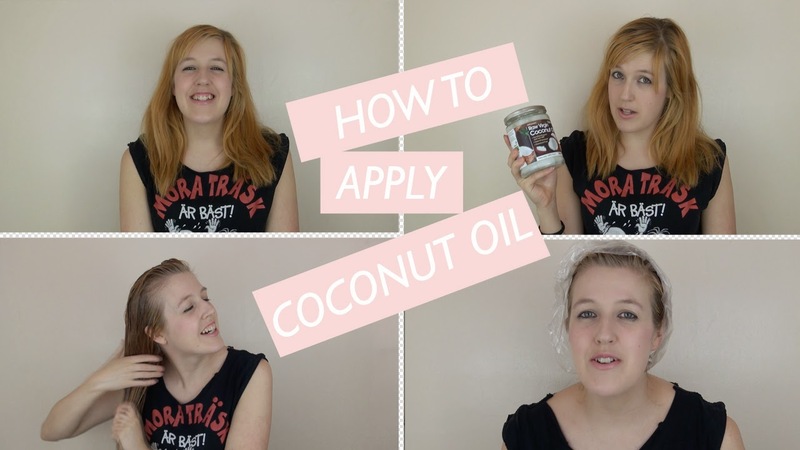 In this video I show you how to apply coconut oil to your hair. I prefer to apply the coconut oil on dry hair. It gets messy so make sure you wear a top you don't care too much about. 1. Scoop out the amount of coconut oil you need in to a bowl and put it in to the microwave for 30-40 seconds until it's melted in to a liquid. 2. Part your hair in to sections to make it easier. Now start applying to your hair starting from the scalp and working yourself through the hair. 3. Comb through the hair to make sure the coconut oil is applied evenly all over. 4. Clip it up, you can wrap your hair in a towel or put a shower cap on and leave the treatment on for 1-2hrs or as long as you want. Finally when washing it out shampoo twice to make sure you get all the coconut out of your hair. Condition and style your hair as usual. Enjoy your soft healthy hair.